Below is a method to flash the old “un-neutered” HC recovery onto the new userdebug build. This will allow you to update by USB to the official HC build that Google will hopefully release in the coming weeks. The method below requires that you have installed adb from the android sdk. Please make sure to enter the commands below after entering the directory that the recovery.img was extracted to (or to change the “adb push recovery.img /tmp/recovery.img” command to “adb push /path/to/recovery.img /tmp/recovery.img”). Warning: Using any recovery other than a properly signed recovery will brick your box, only use the recovery supplied. You also may to ensure you have a good network connection to your revue before continuing. Step 1.) Get IP Address of Revue (settings->network->status). Step 2.) Enable adbd (settings->applications->development), then check “Remote Debugging”. Step 3.) Add the IP Address of the computer you are connecting from (“Debugger Ip Address in settings->applications->development). Step 7.) Paste each line of the following (one at a time). Reports are, there are some new devices on the horizon for our friends across the lake. (The Atlantic Lake). Reports arent saying much yet, but GoogleTv isnt going anywhere! Recently, Zenofex of the GtvHacker community spoke on a podcast about getting root. You can check it out here: http://techmisfits.com/05/19/gtvhacker-zenofex-speaks/. He speaks with Resno and Integgrol. Well, after hearing Google IO, we have learned some unfortunate information. We wont be getting market till sometime this summer. We are suppose to getting Android version 3.1, which is good news. Not sure what that means in terms of getting and maintaining a software root for the Google Tv Devices. 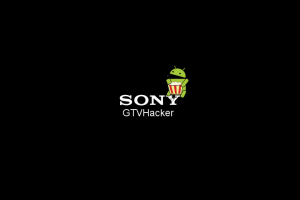 Google Tv SDK and Market? We have been wondering when the Google TV SDK would be released and we are starting to hope and think the time is soon-ish. Reports are, it should be release within a month! The market is believed to follow in about 3 months. This has several implications, but the biggest note is, this should open the door and make the GoogleTV any even better device. Having the market and sdk available will allow us one more tool in finding a software root. This is an exciting time, and we can not wait to ride the rollercoaster. 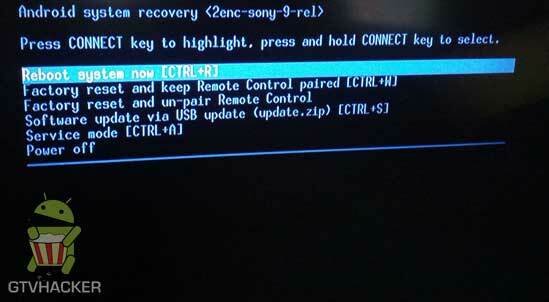 We are proud to announce we have rooted all available Google TV devices with a one click root method. We are very excited to be releasing this new method out to the world. This doesnt require the use of hardware hackings like previously done on other boards and has been shown to work on most every Google TV Device. The other benefit is that, since the Market and SDK havent been released, we are able to allow market apps to be installed on all devices. Lastly, this new system works on all statuses. So devices that have been used can now enjoy root!